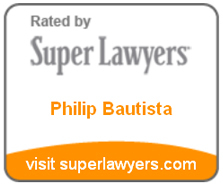 Phil is a trial lawyer who has extensive first-chair litigation and trial experience. Having a background in science, Phil has litigated numerous cases throughout the United States involving trademarks, patents, copyrights and trade secrets. Phil also has extensive experience in litigation involving technology and trade secrets matters, as well as product liability, engineering, and construction matters. Phil is a member of the Taft team that has been named a Tier 1 firm in Cleveland for Litigation - Intellectual Property by U.S. News - Best Lawyers® “Best Law Firms” in 2018 and in 2019 for Insurance Law. He is also named as a Super Lawyer in Ohio and is listed in the Best Lawyers in America. In the past several years, Phil has represented clients in over fifty intellectual property-related lawsuits and proceedings in district and state courts and before the USPTO. Phil has also managed and monitored numerous other litigations in the European Union, Asia, South America and Australia for clients. In addition to his intellectual property and technology focus, Phil also has extensive experience in matters involving insurance. He has litigated on behalf of both insureds and insurers in matters involving general liability, commercial auto, directors and officers, employment practices, errors and omissions, and specialty lines of insurance. He also has extensive experience with coverage issues. Phil began his career as a commercial litigator and has extensive experience in litigating general commercial matters, including disputes involving financial institutions, disputes between shareholders, employer-employee matters, landlord-tenant matters, and accounting matters. A grey market importer in an antitrust, trademark infringement, and counterfeiting dispute venued in multiple United States District Courts. Lead counsel for a multinational computer technology company in trademark enforcement proceedings, in the United States and worldwide. A national manufacturer of construction products in a lawsuit involving trademark infringement, unfair competition, and antitrust claims, and related state law claims. A global retailer of LED products in lawsuits to assert design patent, trademark, copyright, and deceptive trade practices claims against parties selling infringing products through online retailers. A retailer of LED products in a patent infringement lawsuit filed by a multinational manufacturer. A global distribution and packaging business and its officers in a Federal Court lawsuit involving unfair trade practices in connection with the termination of a patent license. A global manufacturer of athletic products and apparel in a Federal Court lawsuit involving trademark and licensing claims. Numerous companies in the food and beverage, apparel, safety, and financial industries in opposition and cancellation proceedings before the Trademark Trial and Appeal Board. A global manufacturer of a diverse baking and kitchen product lines apparel in a Federal Court lawsuit in numerous opposition and cancelation proceedings before the United States Patent and Trademark Office Trademark Board. A global manufacturer of firearm accessory products in Federal Court lawsuit involving trademark infringement and counterfeiting claims. Software developers in a lawsuit involving the purported infringement of a copyright over computer software. A global manufacturer of apparel in appeal before the United States Court of Appeals for the Federal Circuit involving trademark matters. Software development companies in involving patent infringement claims filed by non-practicing entities. In addition to his litigation practice, Phil also has experience in the business services-side of intellectual property matters. He advises clients on the national and international management of their trademark portfolios, protecting and licensing their intellectual property, and due diligence matters. 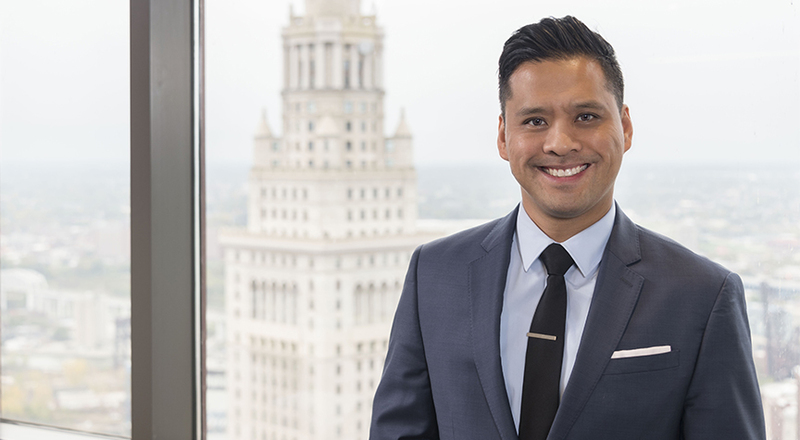 For eight years, Phil was recognized as an Ohio Super Lawyers Rising Star Intellectual Property Litigation Law. He was selected as an Ohio Super Lawyer in 2014-2019 for Intellectual Property Litigation Law.